I have been a long standing lover of ASOS and I was elated when I heard that earlier this year, they vowed to ban silk, cashmere, mohair and feathers from their site. It may not be as far as a lot of us vegans would like to see, with them still selling leather items, but it is definitely a step in the right direction. So I decided to have a look at their website to see what they had to offer. Perfect for Summer is this gorgeous high-waisted swimsuit. It comes in a range of colours such as black, white and tropical print but this red just screams sass and I like it. And I love that it comes in tall, because poolside wedgies are not the one! This Floral Flippy dress from French Connection is such a gorgeous colour and as you may know by now, one of my favourite colours. Will go perfect with some cream wedge sandals. Or for more of an edgy look you could pair them with these Accelerate Chunky Buckle Ankle Boots. 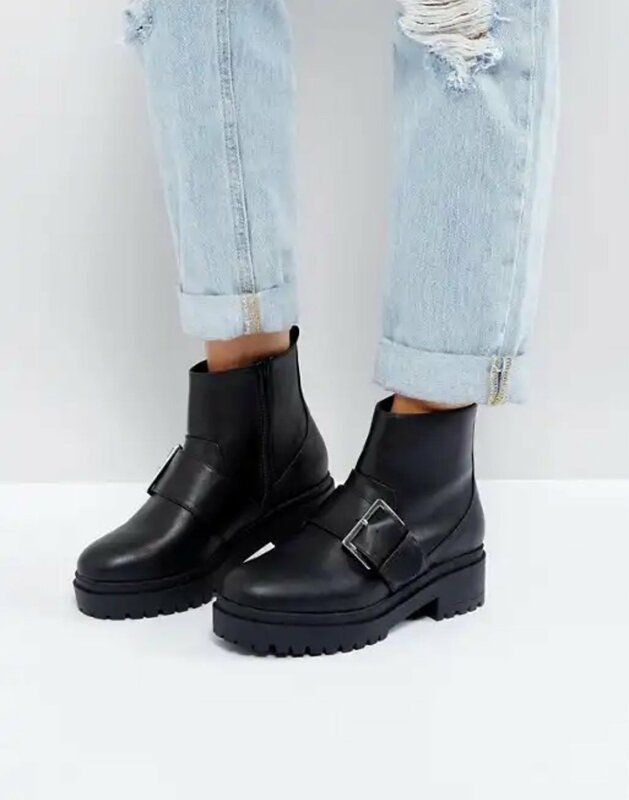 With me being taller than most of my friends as well as the fact that I love comfort, these boots are right up my street. I can still look lit, whilst maintaining my must have comfort levels. This Casual Smock mini dress is made out of 100% cotton and has these cute buttons down the back. Complete the look with this cute denim jacket for a chic little black and white ensemble. I just love these gorgeous "Choose Love" t-shirts. This collaboration between Help Refugees and Katherine Hamnett is super ethical. 100% of profits help to raise funds and awareness for people caught up in the refugee crisis in Calais. These high rise Seeker Souke trousers are perfect for chilled days in the heat. They are made from super breathable organic cotton and hemp, using less pesticides during the growing process. So they not only make you look and feel good, but they are also good for our beautiful planet. The pattern on this ASOS White jumper is just everything. For those cooler summer nights, slip this on with a pair of mom jeans and some white pointed toe pumps for effortless casual chic. Everyone needs a crisp white shirt in their wardrobe and this ASOS Design shirt dress is perfect. It can be worn with some cool heeled ankle boots for a chic look or with a pair of your favourite jeans and pumps for a more casual chilled look. Not needed for this weather right now, but I'm sure the Winter will be here before we know it and this faux fur coat will be perfect for it. It's reversible so it's like a 2-in-1. Versatile, value for money and sustainable. What's not to love?! How cute are these boilersuits from Seeker. 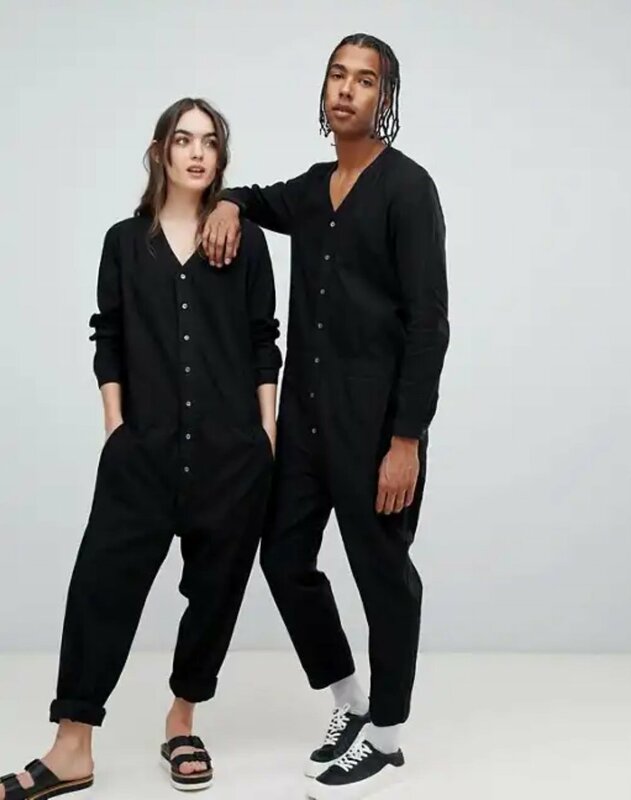 It's so cool that all of their clothes are unisex. So I could buy a load of stuff for "BAE" and then just wear them, as I usually do with all of his clothes! I mean, that's sustainability at it's best, right?! I absolutely love these recycled denim rings. The stones in these rings are made from recycled denim scraps, set in a bio-based resin composite. Ever wondered where your old jeans end up? Wonder no more. I mean, how cool is that? So these are my finds. I obviously couldn't document them all because ASOS have so much to offer in terms of sustainable fashion. Thanks for reading. Let me know what your favourite finds were. And if you loved this then feel free to let me know in the comments and share if you're feeling generous!